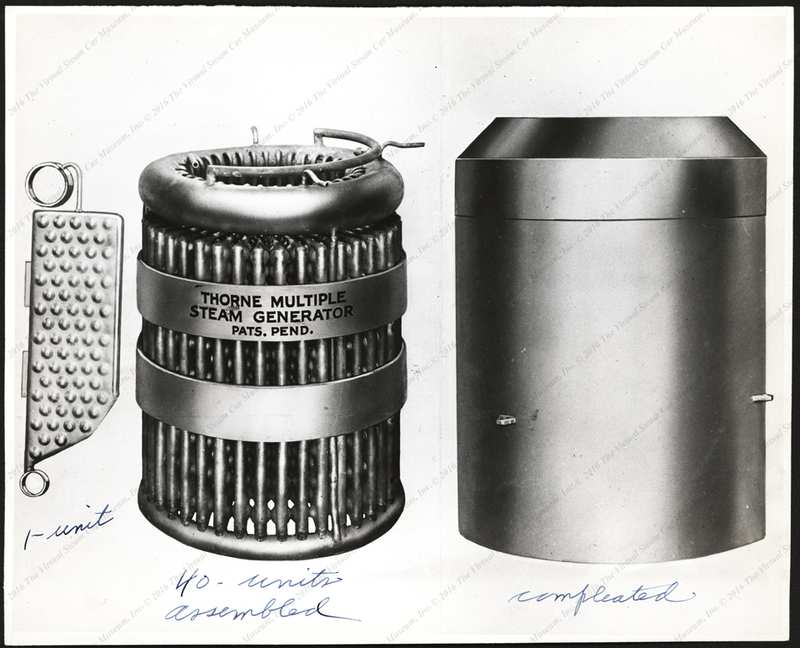 The Thorne Multiple Steam Generator was manufactured by the Automotive Steam Service Company of Chicago, IL in the early 1930s. 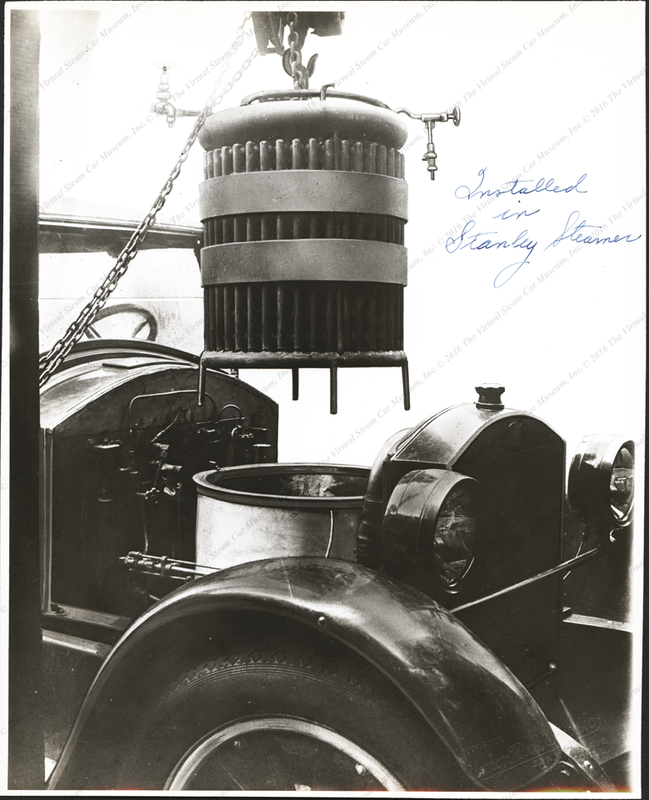 It was an after market steam generation system for Stanley Steam Car owners. 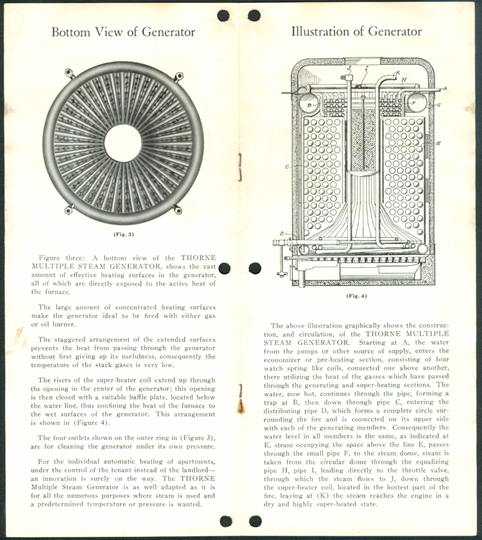 Several Thorne Multiple steam Generators survive, including one in a 1925 Steam Vehicle Corporation car, with serial number 25004. 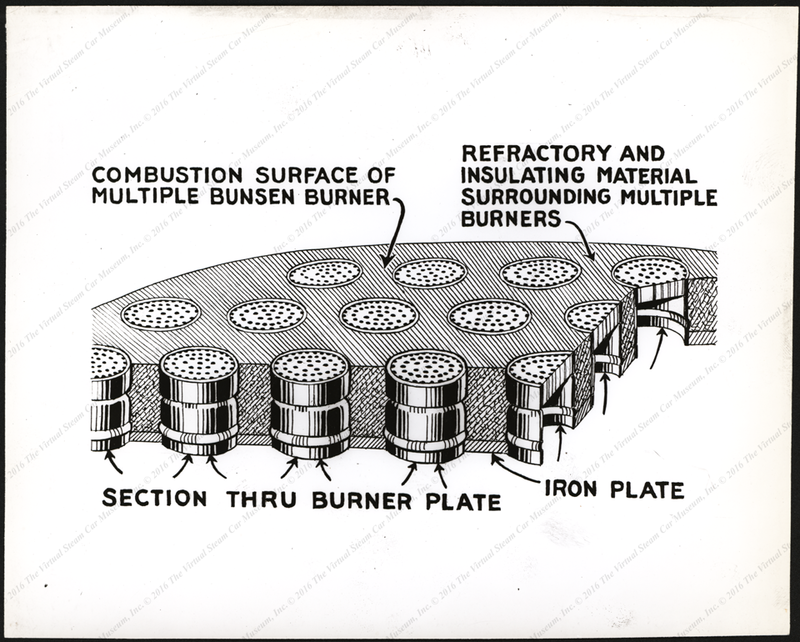 The Thorne burner and steam generator were tested in July 1933 by one O. Monnett, presumably a consulting engineer in the Chicago area. His report survives on carbon paper in the Edward Gibbs Collection, along with the 8" x 10" glossy photographs used in the Thorne brochure. 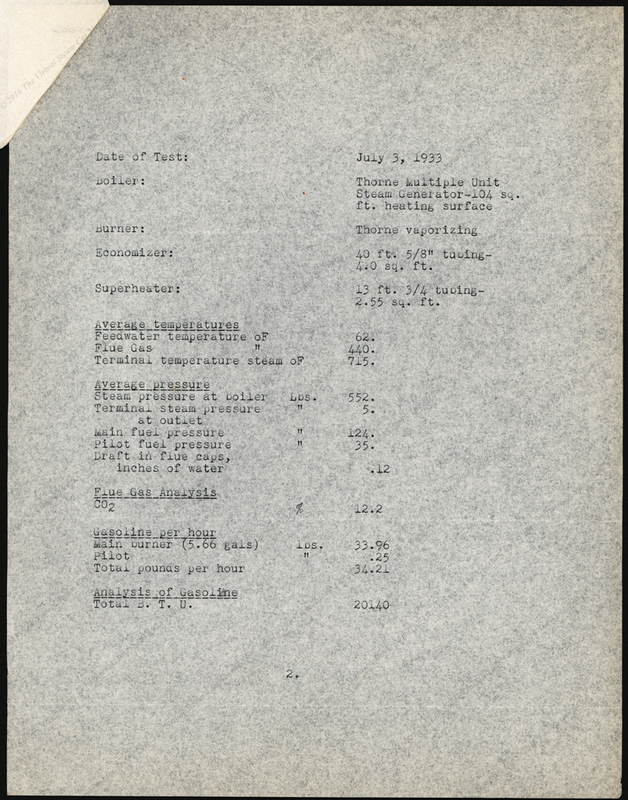 The photograph for Figure 4 is missing. 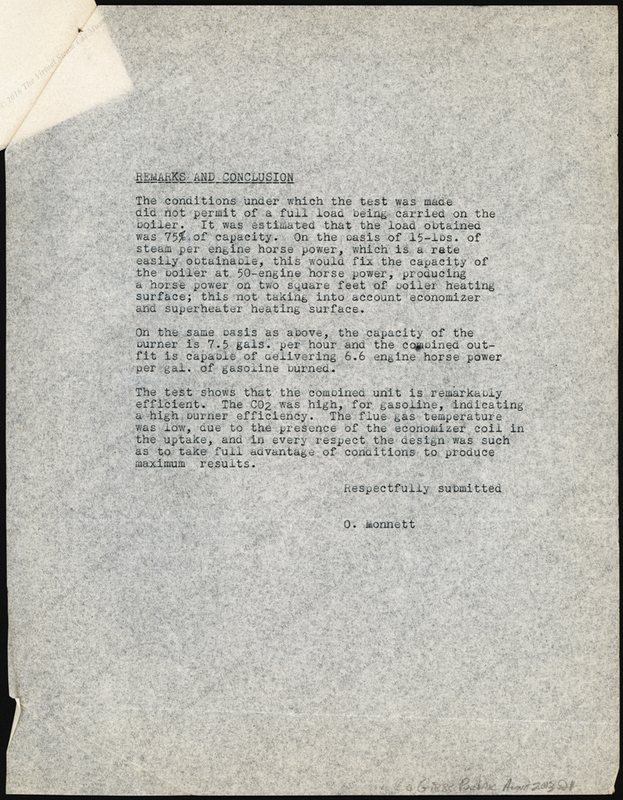 The brochure below is the primary source of published information. 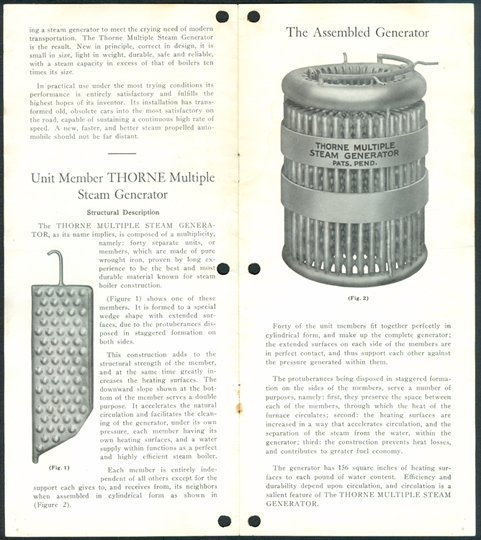 This is the front cover of the Thorne Multiple Steam Generator brochure. 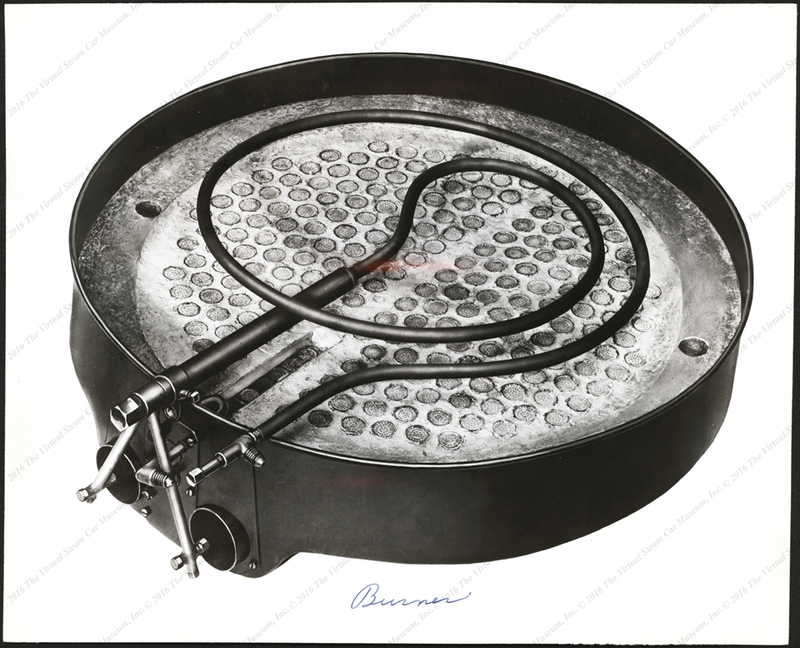 This image, used on the back page of the brochure, Thorne Multiple Steam Generator being installed in a 1925 Steam Vehicle Corporation car. The shape of the fender and the barely visible handle of the Lockheed Hydraulic Brake fluid reservoir on the left side of the fire wall lead to this conclusion. 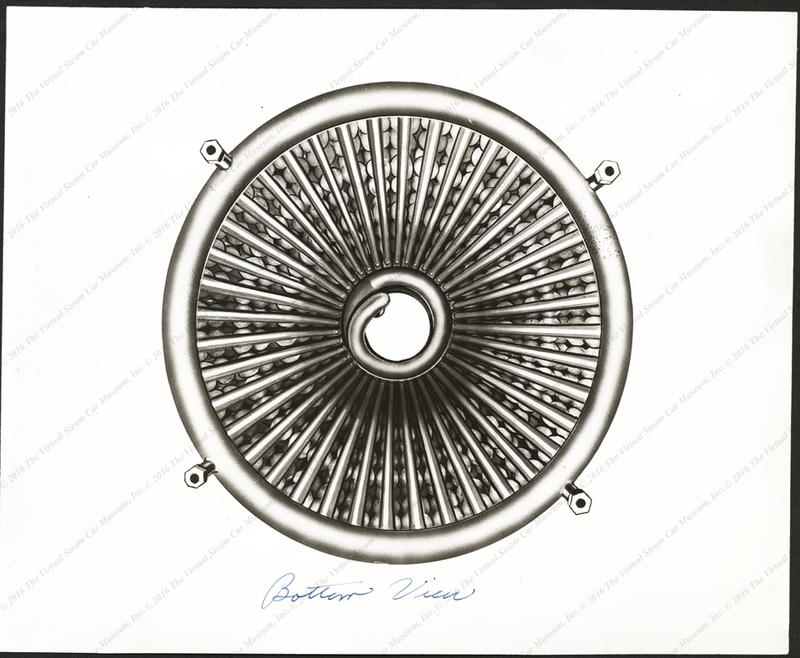 The Solar 1130 headlights were standard equipment on 1923 - 1926 Stanley Steam Cars. Edward Gibbs Collection. 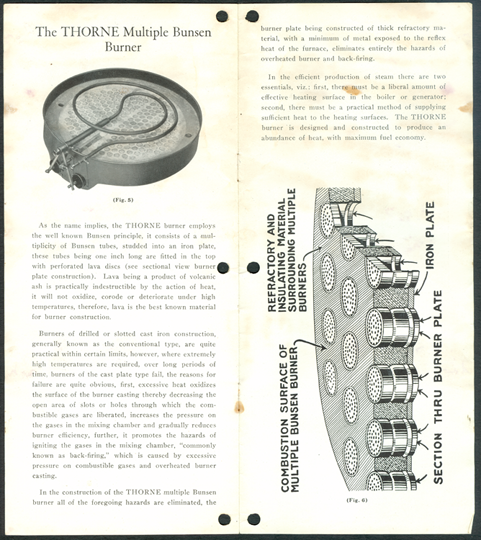 Contact us if you have additional information about the Thorne Multiple Steam Generator, or if you have questions.